Bring the toy to life: render animated facial features on top of the static toy and have it speak. If there was a reliable backdrop/diorama, “remove” the toy and replace it with an animated model. Peer into a trap/CYOS vessel to see the character inside. Place each toy on top of a special calibration sheet. 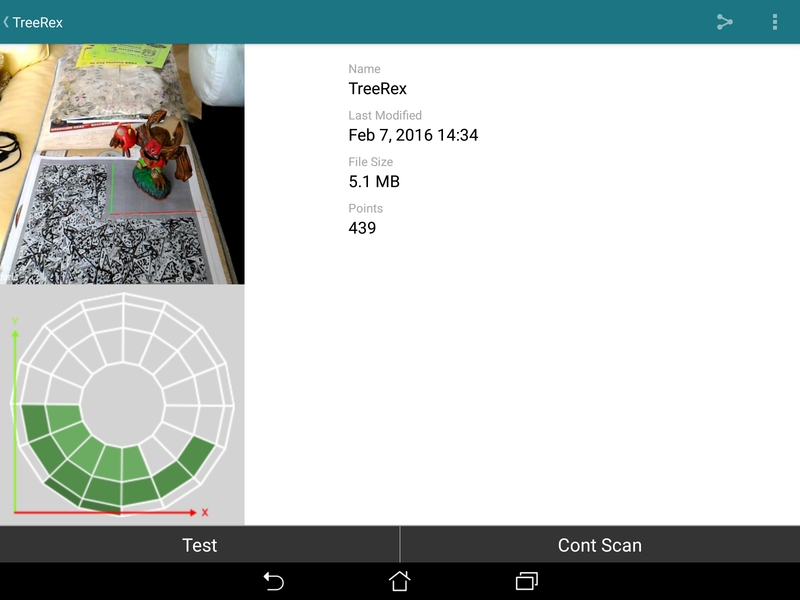 Use the Vuforia “Scanner” Android app to generate capture data from multiple angles. 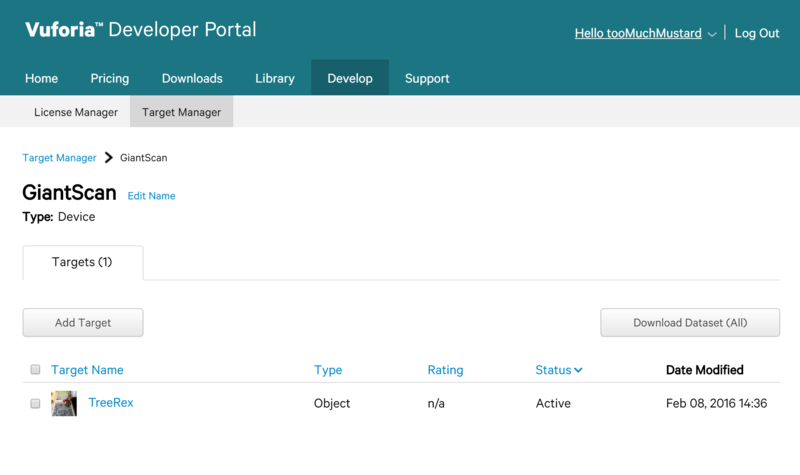 Export the capture data and upload it to the Vuforia Target manager. Download the dataset as a Unity package. 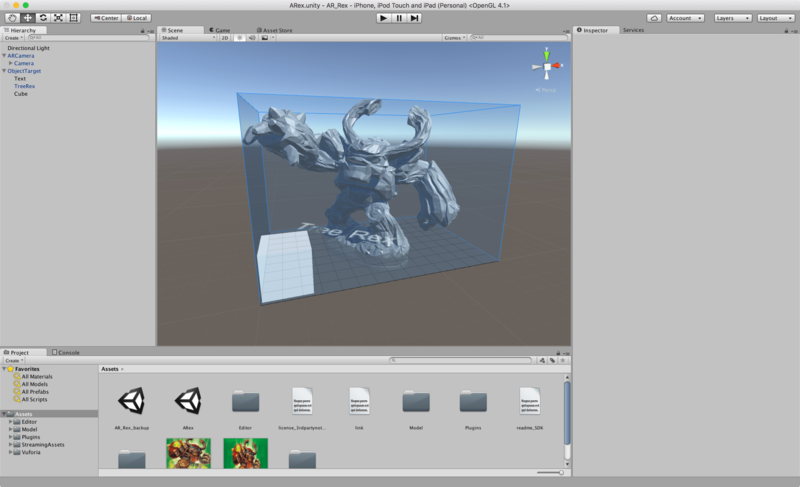 Assuming your account license is setup, import the downloaded Unity package into your scene, point the data set at the file and parent virtual objects to the target object. At this stage, if everything is setup correctly, you can hit “Play” and use your PC’s webcam to verify before building to your target device. Transparent/reflective materials confuse the scan. Stereo cameras appear to be the next big hardware innovation in mobile phones. Sampling scenes from two perspectives will garner much more accurate recognition. 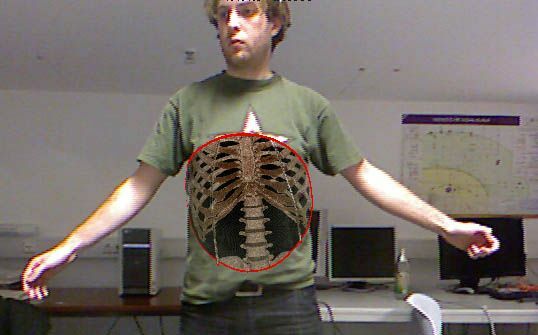 Microsoft demonstrated a way to turn a mobile phone into a depth-sensing Kinect by adding IR lights + sensors. If a peripheral had to be added, this seems like a great way to go. Google’s Project Tango is already exploring the value of better machine vision in mobile cameras. Amazon’s Firefly feature demonstrates that object-based search is viable. 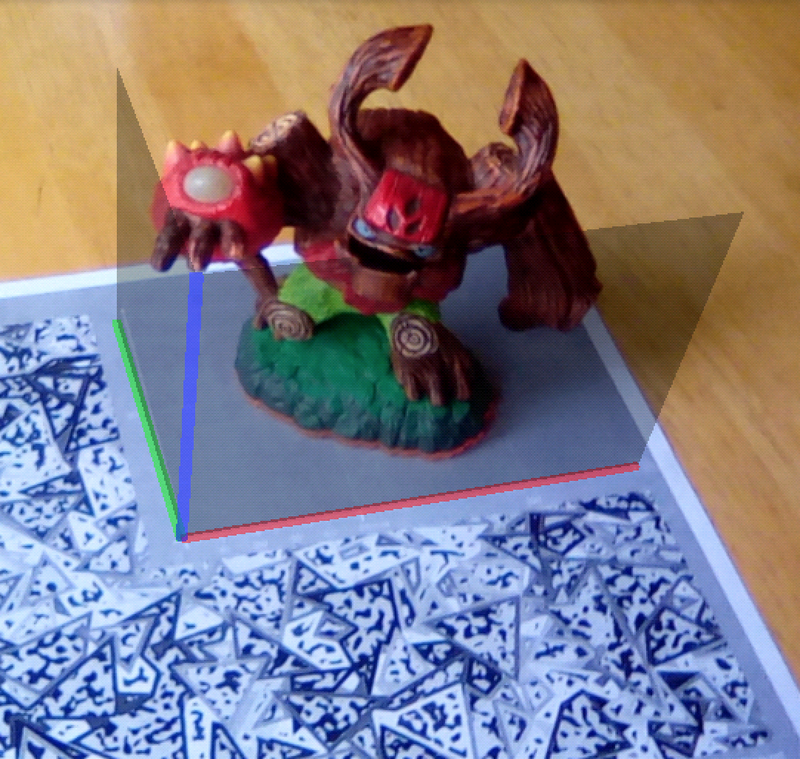 Perhaps this method works better in conjunction with flatter QR-code like stickers designed for specific areas on the character/base? Each toy’s capture data is very large. A partial scan of Tree Rex with 439 points of recognition came out to be 5.1MB. This was bundled down into a 1.4MB Unity package. This is one toy. Information only moves one-way: from toy to app. If you modified virtual attachments or changed the character’s name, that information could not flow back to the toy without additional technology. Aiming a screen at an object for extended periods of time is uncomfortable. Head-mounted, Mixed Reality (MR) displays seem to be the more ultimate realization of this sort of magic. Match the render with the device’s white balance + exposure settings for better visual integration. Draw behind the toy by using a perfectly synchronized 3D model of the toy as a render mask. Use the perfectly synchronized 3D model to layer on artificial lighting/shadow effects to the toy. There is a hard limit of 2 total objects able to be tracked simultaneously. Vuforia is not yet compatible with Unity 5.3.2. Don’t update! By default, Xcode expects bitcode data. Set this to false in the build settings to avoid build failure. 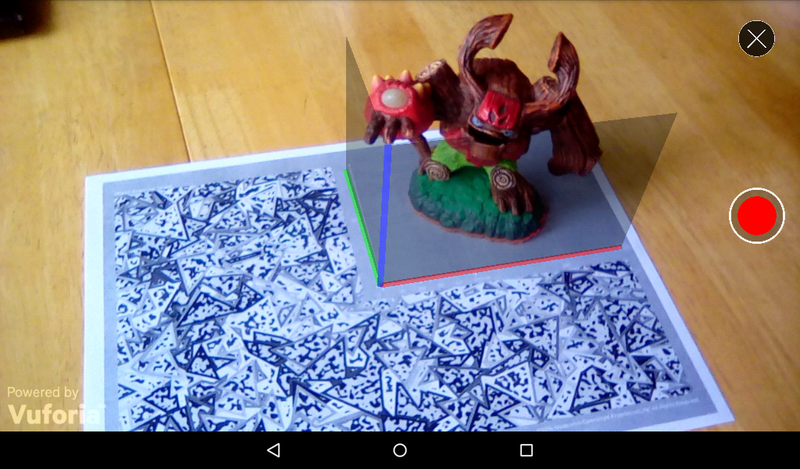 Pingback: Yanimator: An AR Character Creator – Yanman!